Beautiful cake for a beautiful girls first birthday party. 2 tiers with simple yet effective decorations. covered in daisy’s, bees and the birthday girl is wearing her birthday outfit and eating her favourite food…corn on the cob! 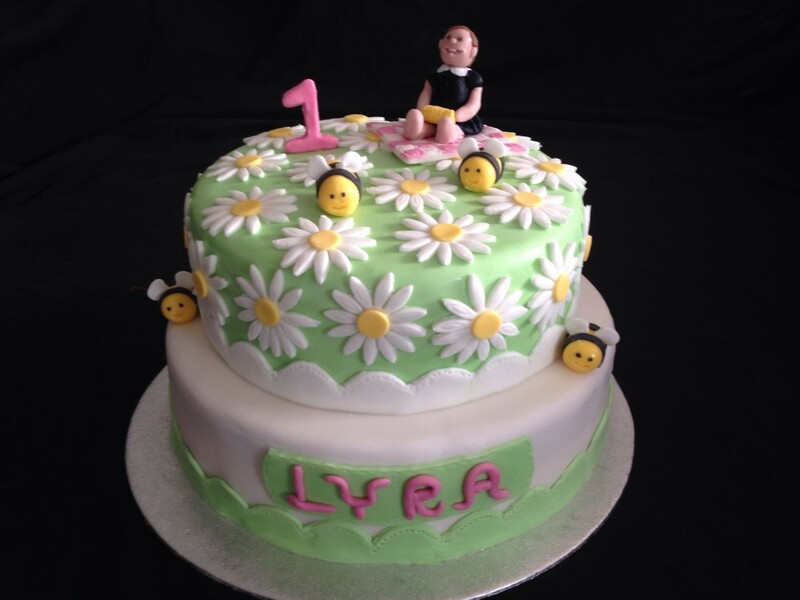 the best thing about bespoke cakes is you can add whatever you want to your cake!